Lifestyle has a major impact on diet. A balanced diet provides all the nutrients necessary for the good functioning of the body, but the things that feed us on psychic and emotional level are equally important. Shiseido Spa provides a nutrition and health coaching integrated program that consists of 10 counseling sessions for 6 months. 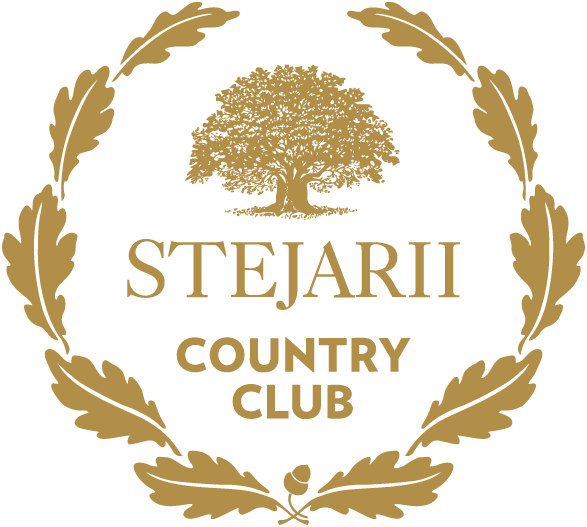 *Stejarii Country Club and Shiseido Spa members benefit of a 10% discount. Metabolic Balance is the most widely used program in Europe for metabolism and body weight regulation, proposed by physicians and scientists in Germany. The program is a scientific solution for global metabolism regulation and proposes a personalized, healthy diet plan based on blood analyzes and anthropometric measurements (weight, age, height, circumference), medical history. Who is it addressed to? The program can be used by people who want to lose weight, but also by those who just want to maintain their actual weight or wish for a balanced diet, thus preventing the onset of metabolic syndrome. With metabolic balance®, remarkable results are obtained even if you suffer from high blood pressure, diabetes, dyslipidemia, polycystic ovary, chronic fatigue, allergies, dermatological problems, sleep disorders. 1.Evaluation: At this stage we evaluate your health status, we will measure the main body size indicators with a bioimpedance scale (an investigation that will show us the percentage of fat, visceral fat, muscle mass, hydration degree in your body). At this stage we will discuss in detail what the program implies and what are the rules underlying it. 2.Analysis: Based on your blood tests, we will determine exactly what foods your body needs for metabolic rebalancing, weight regulation and health improvement. 3. Nutrition Plan: The individualized diet plan is made using computerized software based on the set of laboratory analyzes, anthropometric data and personal information related to health. 4. Throughout the program you will benefit from specialized counseling, which will help you make the transition to the new lifestyle in a controlled and efficient way. Periodically, we will monitor body composition with professional weighting machine and see how the main parameters change from session to session. Stejarii Country Club and Shiseido Spa’s members benefit of a 10% discount. * The package includes a personalized nutrition plan, 7 counseling sessions and blood tests. ** The first session costs 250 RON, and if the package is purchased after the first meeting, the first session is considered free. You can find out more by reading the Cookies Policy and you can express your consent for the use of all or just a part of Cookies / online identifiers or you can opt for an anonymous use of the website. You can always review your choice. WHAT TYPES OF COOKIE MODULES DO WE USE? We will list below the various types of Cookies modules that we use on our wesite: Strictly Necessary Cookies Modules, Statistics Cookies Modules, Marketing Cookies Modules. The Cookies Statistics module helps us to collect information about how you interact with our website and helps us to improve our services and content so that we can offer you a relevant and optimized experience. The Cookies Marketing module collects information about your use of social media networks to define your profile so you only receive relevant information according to your personal preferences and interests. You can modify Cookies settings through your internet browser. These settings are usually available in the "options", "tools" or "favorites" menu of the internet browser you are using. You also have the option to access your browser's "Help" menu to learn more about Cookie activation / deactivation mechanisms. Data from these cookies is not transmitted outside of the EU or the European Economic Space and is not used for automated decision making including profile creation. This website is built on a Wordpress platform. The platform provider does not offer an option to disable the stricly necessary cookies, but they can be disabled using browser settings. These settings are usually available in the "options", "tools" or "favorites" menu of the internet browser you are using. At the same time, you have the option to access your browser's "Help" menu to learn more about cookie enabling / disabling / deleting mechanisms. Please note that the restriction of strictly necessary cookies may have an impact on some website features. Contains the current user session used by the server to identify the current user. It is used to determine whether or not the information box about the use and consent of cookies is displayed. Performs a current user check before Wordpress is loaded. The Statistic Cookies Module helps us collect information about how you interact with our website in order to improve our services and content so we can provide you with a more relevant and optimized experience. We use Google Analytics and Facebook Pixel cookies to collect information about how visitors use this site and to detect possible browsing issues. Google Analytics stores information about the pages visited, the duration of navigation on the website, the way the site was accessed, and the sections accessed within the pages. FB Pixel is an analysis tool that measures the effectiveness of on-line advertising, in order to better understand user actions on the website. The collected Data is not transmitted outside the EU or the European Economic Area. These cookies allow you to collect information about how visitors use this site and to detect possible navigation issues. Google Analytics stores information about the pages visited, the duration of the site's navigation, the way the site was visited, and the sections accessed within the pages. The site uses Google Analytics to be able to track whether the site meets user requirements and prioritize the improvement of the processes being carried out. Cookies can be deleted / disabled from browser settings. You can disable statistic cookies using the check mark at the end of this section. It collects information about the interaction with this site of specific users which arrive on the site through Facebook links (page display, filling form through Facebook login, page actions such as clicks on buttons).